“The student professor relationship in COBA is unique and unlike any other university at which I have taught. The faculty and staff are outstanding Christian people that I enjoy working with every single day,” says Accounting professor, Dr. John Neill. This year marks the 15th year Accounting professor Dr. John Neill has been with COBA. 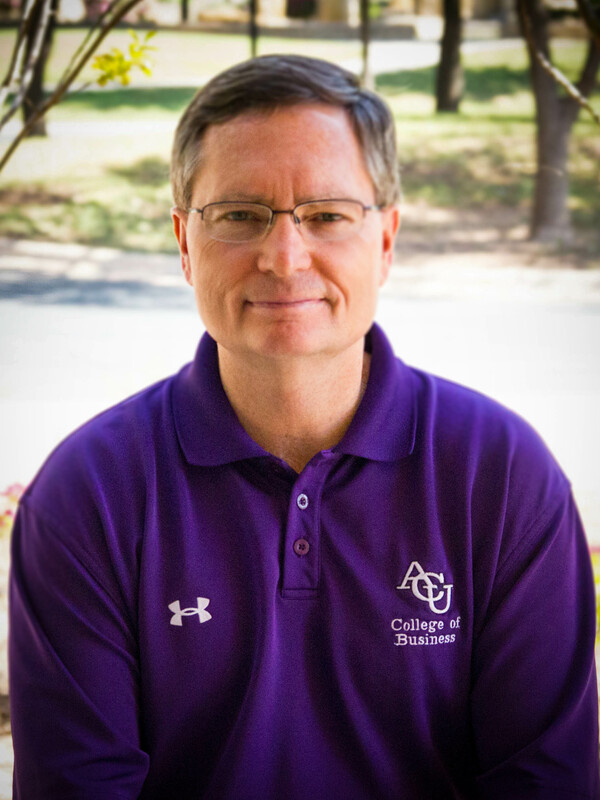 Dr. Neill grew up in Abilene, graduating from Cooper High School before coming to ACU. He graduated from ACU earning both a bachelor’s and master’s degree and then went on to the University of Florida, where he earned his Ph.D. Before coming back to ACU to teach, Dr. Neill taught at Florida State University and Chapman in Orange County, California. Dr. Neill says that one of his favorite memories in COBA is the senior blessing retreat held a couple of years ago. At the blessing, he enjoyed all of the faculty and staff gathering together to send off the seniors. He feels incredibly blessed to be part of such an encouraging community, knowing he has made a difference in students’ lives. Dr. Neill describes COBA as cooperative, student-focused, and professional, seeking to serve God and meet students’ needs above all else. Compared to other state universities, he feels that students feel comfortable in COBA, striving to learn and gain insight from experienced professors. Dr. Neill’s favorite Bible verse is Romans 8:37-39, which says, “In all these things we are more than conquerors through him who loved us. For I am convinced that neither death nor life, neither angels nor demons, neither the present nor the future, nor any powers, neither height nor depth, nor anything else in all creation, will be able to separate us from the love of God that is in Christ Jesus our Lord.” Dr. Neill’s life is a clear reflection of how he lives this verse out every day, serving those around him and pushing students to reach their potential and live out their God-given talents. COBA has been extremely blessed to have Dr. Neill in our community. Thank you Dr. Neill for your Christian example and servant leadership over the past 15 years!